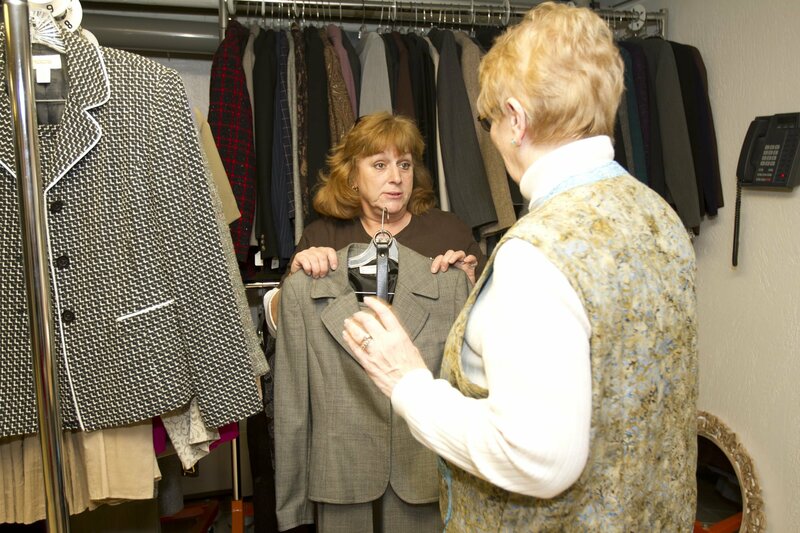 The Career Closet provides free professional attire to low-income job seekers. Clients are referred to this program from numerous social service and career assistance organizations in the area. Many people simply cannot afford to purchase the professional attire needed to obtain better jobs. This program helps to break that cycle. Volunteers assist each client in choosing outfits from a large selection of gently worn clothing and accessories that have been donated by caring individuals throughout the South Shore. Help job seekers and donate today! You can make a difference by donating current, in-style clothing suitable for the workplace. Donations should be clean, pressed and ready to wear. Some appropriate items include: skirts, dresses, blouses, men’s suits, dress shirts, slacks, khakis, polo shirts, ties, shoes, etc. Donations can be dropped off at Interfaith’s office 9am-3pm, Monday – Friday, and until 7pm on Tuesdays. Volunteer! We are looking for volunteers to assist Career Closet clients. If you are interested please contact Paula Daniels at 617-773-6203 ext. 28. If you would like assistance with professional attire from the Career Closet, please contact Eileen Kelly at 617-773-6203 ext.19, ekelly@interfaithsocialservices.org. The Career Closet program is by appointment only. No walk-ins. If you work with a community-based organization please contact Eileen to obtain a referral form for your clients.